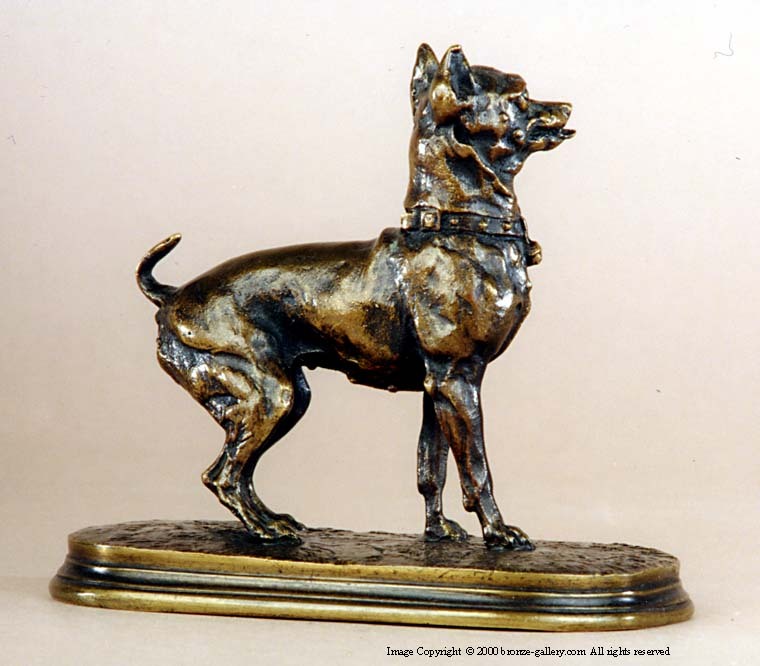 Mene modeled many of the popular dog breeds of his day and this alert dog is most likely a Miniature Pinscher or Min Pin as they are known today. This sculpture of a Miniature Pinscher is one of his more obscure works. 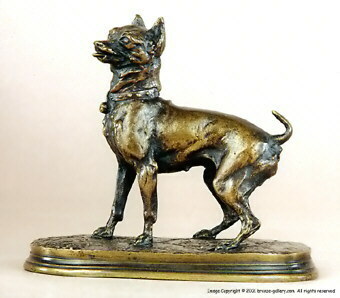 He has managed to capture the essence of this feisty breed in the bronze. The dog is in a playful pose and this is a charming piece which would be a classic addition to any collection of the artist's work. The dog is standing on an Oriental rug and the pattern can be seen on the base of the sculpture. This is a model that is seldom encountered. It was cast by Mene in his own foundry and is finished in a rich brown patina. Animals in Bronze by Christopher Payne, pg. 234. Les Animaliers by Jane Horswell, pg. 136.